I gathered up all of the wires coming out of the tunnel and sorted which bundles headed in which direction. I then wrapped two different bundles (one in each direction) and routed them further into the engine compartment. 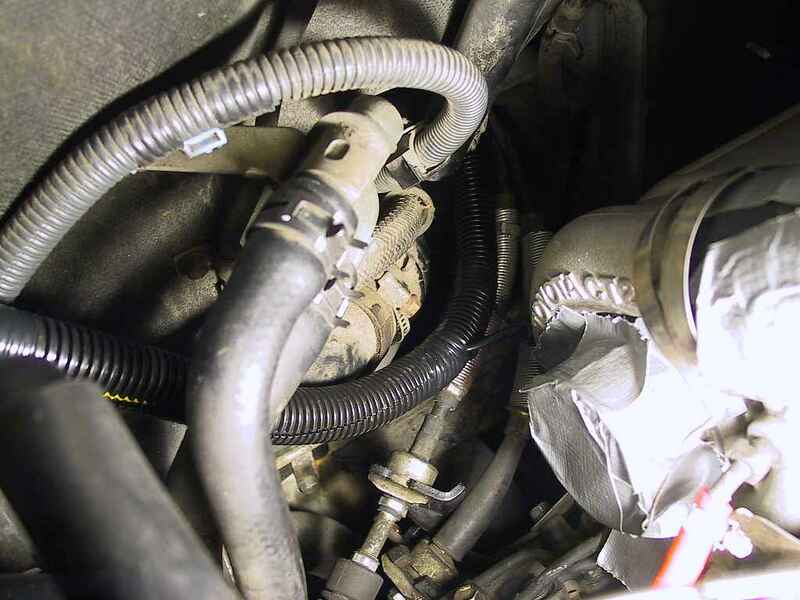 In addition, there were some additional wiring bundles for the AVC-R pressure sensor and solenoid valve, which were located on opposite sides of the engine compartment. Where possible, I wrapped these up in the sleeving to present a clean, organized appearance. I then forced the sleeving as far up the wire bundles as I could and taped them off with electrical tape. I re-mounted the fuse panel and turned my attention to the trunk. At this point, stop what you are doing and disconnect the negative lead of your battery. If you have enabled the security features of your stereo, be advised that you will need access to the security codes to re-enable it when power is restored. Here's where things get interesting. 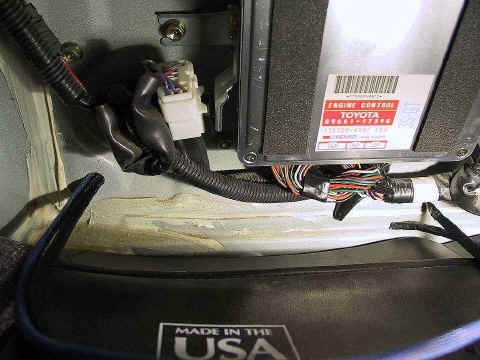 While it should be a fairly straightforward matter to splice the wires from the Safeguard and AVC-R harnesses into the ECU harnesses, the manufacturers make it difficult. Both APEXi and J&S give barely adequate instructions. Toyota, for their part, saw fit to change the wire assignments from one year to the next. Without a BGB for the current model year of your car, you're going to be doing some head scratching. For one thing, it's not made clear in the instructions whether references to connector pins refer to the harness pin or the ECU pin. This means that you are kept guessing as to exact location. If you have the Ultra II, you'll run 7 wires back to the ECU. The gauge has a knock monitor across the top and a dual-mode (Cruise/Power) AFR display across the bottom. I had already installed the Safeguard, and now I was faced with fishing two more wires for the AFR module. I decided that pulling a complete bundle of 9 wires in a braided sleeve would be easier than fishing two more small (22 AWG) individual wires. The following instructions worked on my car, a '93 U.S.-spec Turbo. The warnings about "you are on your own" are doubly important in this, since you can fry your ECU in the worst case scenario. The Ultra II has two connectors. The main connector has 8 terminals, 5 of which are used. The smaller 2-terminal connector disables the fuel cut. The ECU has 3 connectors. According to the BGB, "A" is the 22-pin connector, "B" is the 26-pin connector, and "C" is the 16-pin connector. The pin numbers below match the BGB designations. I ran the following wire colors from the Safeguard control unit to the ECU harness (from left to right). Connections to wires A12, B26, C6, and C13 are taps onto the existing wire. Connections to B20 and C5 require cutting the wire in half and inserting the J&S components into the circuit loop. The J&S instructions show this clearly in their diagram. Thanks to Steve Cornell for pointing out that this wiring configuration for the Ultra Version 2 is not the same as the Ultra Version 0. Steve also pointed out some errors I'd made in transcribing the main connector's terminal assignments to this page. The Ultra Version 0 does not include the Boost Retard and Fuel Cut features, and there is no auxiliary connector, only the main connector. 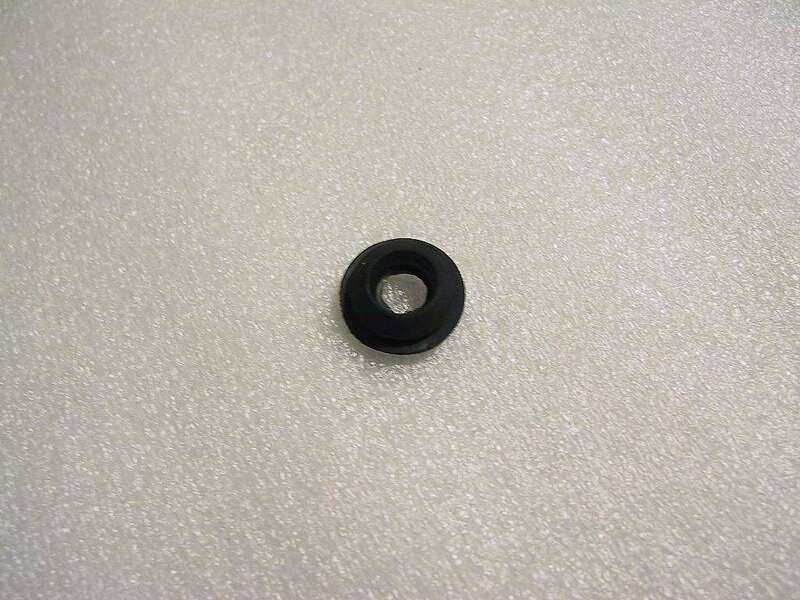 *This is a subminiature (2.5 mm) stereo phono plug designed for audio applications with a left and right channel. Here's a shot of the various splices. These include the AVC-R splices as well. I'm not sure if it's helpful, but ignore it if it's of no use to you. 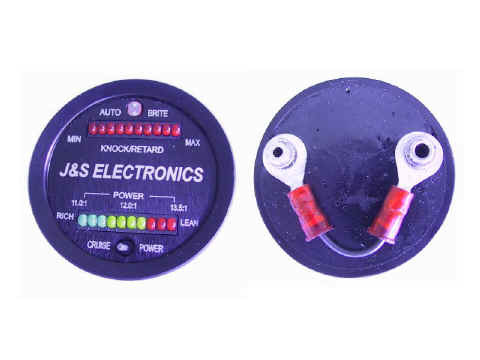 One problem I ran into during the installation of the gauge was with the cables J&S ships with the unit. The interface for the knock display is a 10-foot audio cable with straight plugs on both ends. 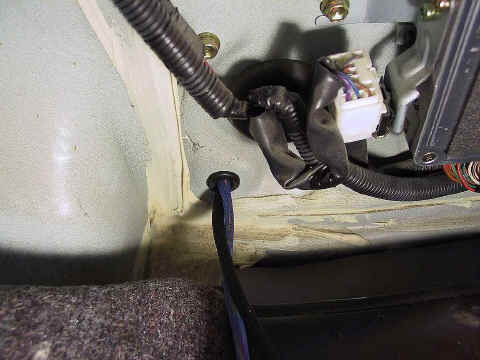 The straight plug was too large to allow me to close the lid on the console where the control unit was located, and adding a right-angle adapter made the connection too long. I searched the web unsuccessfully for a right-angle patch cable, so I ended up cutting the right-angle adapter apart and soldering the wires directly to its internal lugs. I then re-fitted the vinyl casing, added a little hot glue and some electrical tape, and it fit perfectly. Turn all adjustable pots to the extreme counter-clockwise position. This is the "OFF" position. I found (and this was confirmed by other users) that the knock detection is far too sensitive for my taste. The best setting was obtained by turning the sensitivity control (far left on the control unit) very slightly clockwise and then driving around without initiating much boost. If you turn it too far, it will begin retarding the ignition simply due to normal mechanical noise. I have my boost/retard turned off. Perhaps it will prove valuable in the future. 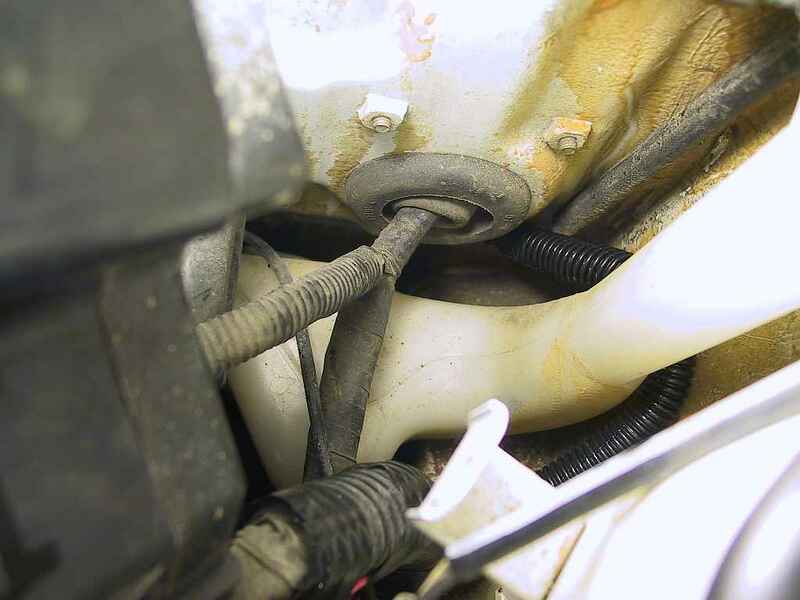 If you do not have the dual monitor gauge, setting the knock sensor is difficult. First, the control unit is difficult to locate where you can see the single LED that indicates knock. Second, the single LED is difficult to read while driving. The dual monitor enables you to fine-tune the sensitivity. This is vital if you don't wish to lose power under boost. As I use this tool more, I will update this page with any additional tips or techniques. I'm planning on replacing the Toyota knock sensor with a GM unit I obtained from ATS Racing, and that will require re-calibration of the knock control system.